A dedicated team of R&D and ergonomics professionals, together with laboratory personnel, has developed new and improved technology in the Sartorius Picus Electronic Pipette with the needs and well-being of scientists in mind. What they developed is the most ergonomic and sophisticated pipette in the market for laboratory professionals who demand the highest quality, safety and reliability in their work. 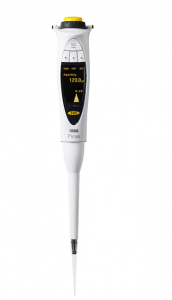 The outstanding design of the Sartorius Picus Electronic Pipette was awarded with the Red dot design award in 2012. Economical in size. The Sartorius Picus Electronic Pipette is one of the smallest and lightest electronic pipette on the market. Truly ergonomic pipette. The Picus weighs only 100g which drastically reduces your risk of repetitive strain injuries (RSI). A diverse set of modes. 8 different modes including pipetting, reverse pipetting, manual pipetting, multi dispensing, diluting, sequential, dispensing, multi aspiration, and titrate. Feather light operating button. Ejecting a pipette tip, adjust the volume, and controlling the pipetting mode can all be accessed through the light operating button. Available in different channels. The Picus is available in single, 8, and 12 channel to accommodate your application needs. Volume range. 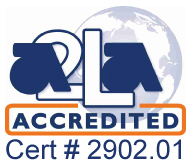 Depending on the model you choose, the Picus has a volume range of 0.2 µL to 1.00 µL. 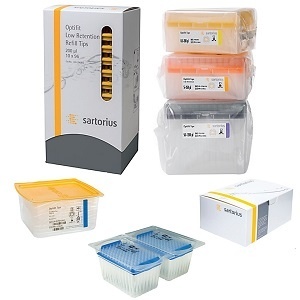 What makes the Sartorius Picus Electronic Pipette the ideal electronic pipette for you? The Sartorius Picus Electronic Pipette is a completely user-friendly and lightweight electronic pipette that gives you the accuracy and precision you need. The electronic tip ejector of the Sartorius Picus Electronic Pipette drastically reduces thumb load to give you the results you need. It is the ideal electronic pipette for any lab seeking a high quality general purpose pipette.